It was another lesson learned for this DIYer… I was so excited to try out a new paint sprayer that I was sent to review that I used what I had on hand as primer. 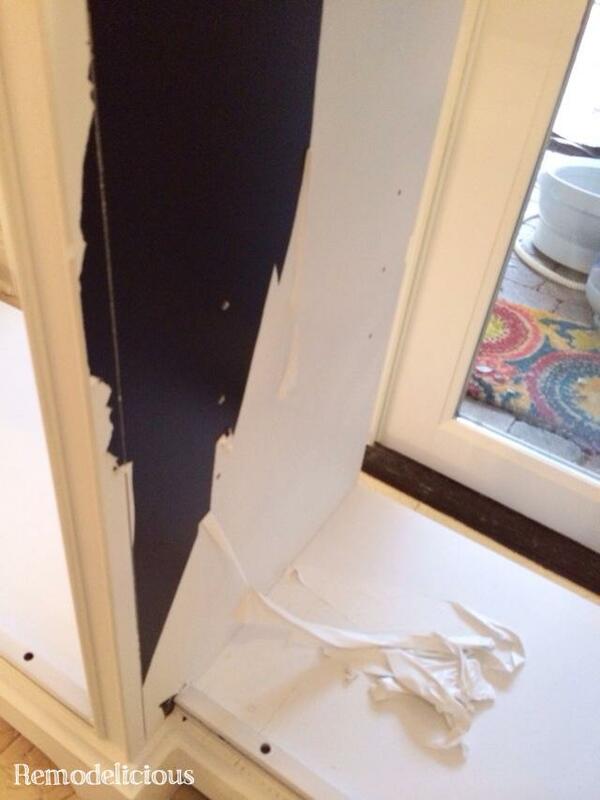 I knew I should have used an oil-based primer on a piece of mass-produced furniture (more on this project soon), but that unopened can of Kilz2 that I didn’t use on on our armoire/hall closet was just sitting there. The paint sprayer did a great job (more on that later, too), but it was a total waste of paint. And time. My second spur-of-the-moment brilliant idea was to paint the cabinet before assembling it, thinking that this would have a better end-result. Dead wrong. 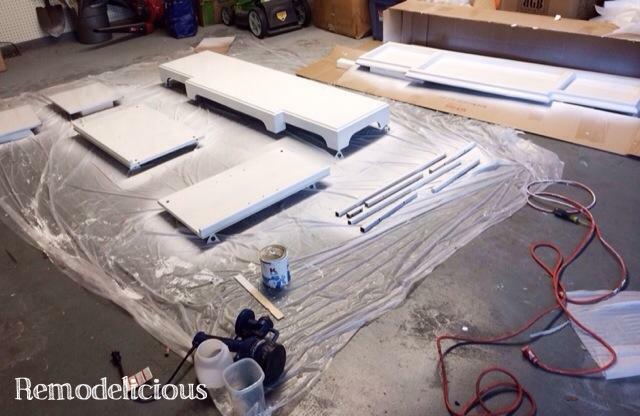 After painting a Home Goods find recently with only the doors removed in an afternoon, I quickly figured out that pre-assembly painting was a bad call because it took me 4 goes (and 4 clean-ups) before I realized that the primer was all wrong and I’d have to take it all off and start over again. I wasted days instead of hours doing it this way. 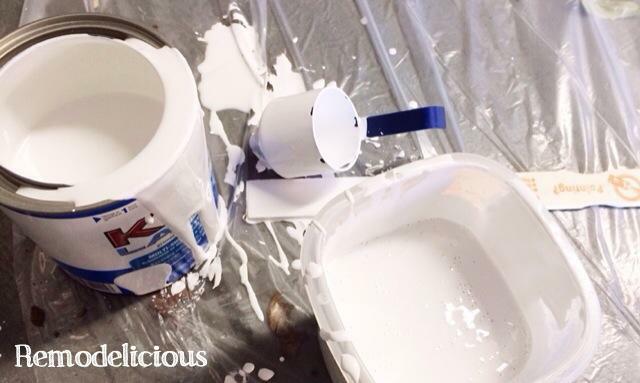 Fortunately, there won’t be any sending involved in removing the primer. It peels right off. I bet that a flathead screwdriver and a credit card will be all that I need. I assembled the cabinet and am taking a mental health break. I can’t wait to paint this thing for real!